As the use of technology becomes more prevalent, there is a continuous increase in the level of invisible electromagnetic radiation within the air that has been emitted and caused by the signals from wireless devices such as mobile phones as well as electrical mains for example. Like any type of radiation, this can potentially prove harmful to your health and as a result, lower your immune system resistance leaving you more susceptible to illnesses, especially Electromagnetic Hypersensitivity Syndrome (EHS). Although the World Health Organisation suggests there is “no evidence to conclude that exposure to low-level electromagnetic fields is harmful to human health”, they also state that “there could still be a possibility of risk and could be not ruled out”, well, better safe than sorry. With that being said, why not counteract the potential hazards of radiation if you have the equipment to do so? This is why the Swiss company ‘Swiss Harmony’, have developed a number of unique, beautiful items which can be used (with no conscious effort) to help combat the potentially detrimental effects of electrosmog. The main reason why we are exposed to these electromagnetic waves is due to the fact that each molecule and also atom always has an electromagnetic field. As technology nowadays is forever evolving and used regularly by the majority of the population, this, therefore, produces multiple sources of radiation circulating within a given area; the greater the level of radiation in that area, the result is a greater chance of putting your health at risk. This isn’t limited to just one electrical appliance creating more radiation; a combination of a phone, TV and music player, switched on at the same time could lead to higher, harmful radiation levels in the room, potentially having an overall negative impact on your physical health. Appliances that are battery operated such as an alarm clock or a mobile phone (in airplane mode) has minimal effect but a larger selection of wires, lights and devices built in or attached to the walls and floors of your home may create a large electromagnetic field, this is because once an appliance is turned on, an electromagnetic field is activated. Q: What does a large electromagnetic field mean? A: Large amounts of radiation. Not good. You should be aware of these electromagnetic radiation waves because according to the International Agency for Research on Cancer (IARC) electromagnetic fields are classified as “possibly carcinogenic to humans, based on an increased risk for glioma; a malignant type of brain cancer associated with wireless phone use.” Whether electrosmog is harmful or not is highly debated but the website Bioinitiative.org contains numerous proven and tested studies by Doctors of Neuropathy who have discovered that electrosmog does have harmful effects. The human body has an electromagnetic field of roughly 100 millivolts; if we are exposed to artificial electromagnetic waves above this level, the body becomes alarmingly aggravated; the circadian (biological) rhythms are affected as well as the hormone melatonin interrupting overall sleep patterns and in severe cases, increasing the likelihood of developing ‘life-robbing’ cancer. 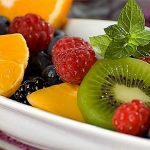 The outcome is a loss of energy within your body which could result in poor immune function; some symptoms include a dull headache, dizziness or a lack of focus. However, Swiss Harmony’s products could certainly aid in protecting you from further damage as they were specifically created to eliminate the influence of these harmful electromagnetic waves. This is done through a rapid yet easy-to-follow effective process; a harmonious, vibrational, spectrum solution to empower your health; free from nasty electromagnetic radiation! I was very fortunate to try these products out and I received the CarTuner, BioBracelet 2.0 and BioPatch. Read on for our review of each item below. CarTuner: The CarTuner was very interesting, I expected it to be slightly bigger in size to be honest, but in fact, it was quite the opposite and resembled your standard size hand soap from a plush hotel. The rectangular shape is black in colour and could fit easily in the palm of most hands. In order for it to be attached to a car battery, the velcro that comes in the package can be used. You need to cut away the duct tape and aluminium insulation of the CarTuner and then stick the velcro to the exposed side. With this velcro in place, you then stick it on a clean spot as close as possible to the plus pole of your car battery. It fits snugly on top of the battery without obvious detection, like a ninja assassin on a top-secret mission! BioBracelet 2.0: I was surprised once I had opened the aluminium, re-sealable foil packet because it looked like a fashionable solid bracelet from the latest catwalk show; the design was striped in appearance, two silver coloured borders were separated by a cross-hatched black carbon fibre band running down the length of the wristband. The bracelet glimmers under the artificial light and there’s a small gap which the lower forearm slides into in order for the band to sit comfortably and securely close to your wrist. BioPatch: Last but not least was the BioPatch which can be used on laptops, mobile phones and any other electrical devices of your choice. The BioPatch was absolutely tiny and similar to a mini credit card (sans funds!). One side of the BioPatch is shiny and reflective with black, cross-hatched carbon fibre and the other had a blue, tranquil electric design with the Swiss Harmony logo. To attach this patch to any electrical item, a double-sided sticky pad is also included to ensure the patch remains tightly secured on your device. CarTuner: The tuner only weighs 75g which is very light indeed! The material used for the inside of the CarTuner is quartz sand with a magnetic strip and the outer shell consists of stainless steel with a plastic cap. I found that the tuner was lacking weight but that did not matter at all as once I picked it up, it was not hollow but instead solid between my fingertips which makes this a reliable investment. BioBracelet 2.0: As well as the design, I have to say that I appreciated the build of the bracelet; the sizes range from XS to XL. The material mainly used was stainless steel with a wide inlay of carbon fibre which allowed for some flex while remaining rigid enough to retain its shape without distortion; ideal for the majority of events or multiple situations. BioPatch: The biopatch is made from carbon, silver and hologram foil. Even though the patch is relatively small with dimensions of 30mm x 40mm x 0.3mm, I was expecting it to be flimsy, although it was possible to bend it slightly, it was compact and possessed ‘flexible strength’. CarTuner: Each item that I had the privilege of using was created to neutralise the negative effect of electrosmog. Connecting the CarTuner to the battery was simple in its set up and once placed on the battery, the velcro pads kept the tuner firmly in position, useful if a person is planning a long journey involving higher speeds. On a positive note, Swiss Harmony always provides scientific evidence to back up their claims and in this case, Emissions Analytics Ltd tested the CarTuner and discovered that it reduces fuel consumption by 4.6% and as an added bonus, lowered Carbon Dioxide emissions by up to 4.4%! What was significant was that Carbon Monoxide emissions decreased by 40% which would, without doubt, reduce the pollution in the air contributing to cleaner roads. On the other hand, according to the study, the manifested effects kicked in after about 600 miles so I cannot say if I noticed a difference or not myself but I’m sure if I was embarking on a long distance journey in the car, it could make a positive impact on my overall fuel consumption; saving me a few extra pounds in the process. This made me realise that the CarTuner would pay for itself in the long run and then some. A gift that keeps on giving, brilliant! BioBracelet 2.0: As for the BioBracelet, it states that once worn regularly, there is a possibility of an increase in focus, improved productivity and the ability to manage stress and remain calm. From my experience, I am naturally a calm individual so perhaps that didn’t necessarily apply, however, I did notice feeling more alert in general and my ability to concentrate was enhanced but then again, without being tested and monitored in a lab, the placebo effect may have had some bearing. BioPatch: Last but not least: the BioPatch; a product created to decrease the negative effects of electromagnetic radiation transmission from mobile phones, WiFi (Wireless Internet) and Bluetooth etc. The patch was invented to prevent too many artificial electromagnetic frequencies from affecting your cells because your cells find it difficult to understand and relate to them and therefore they are unable to adapt unlike in the case of natural sources such as UV rays from the sun. The BioPatch like all of the other Swiss Harmony products aim to harmonize your body; allowing your body’s energy system to receive the information sent from the harmonic frequencies efficiently, therefore, taking control of artificially created radiation fields and preventing them from making a negative impact on your cells, keeping them healthy. The BioPatch is very versatile and easy to attach to any appliance or device. 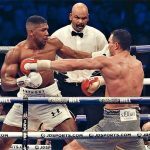 In terms of performance, there was a similar effect to the BioBracelet and if I became an experimental ‘lab rat’ for the day, it would be interesting to find out if there was an elevation of mood, energy and relaxation. Each item has been scientifically proven to work effectively by the Institute for Resonance Phenomena via the Aschoff Reiz test. For each test that was undertaken, ongoing use of each product resulted in the stabilization of the participant’s bio-energetic field which therefore minimised the risk associated with the harmful effects of electromagnetic radiation. 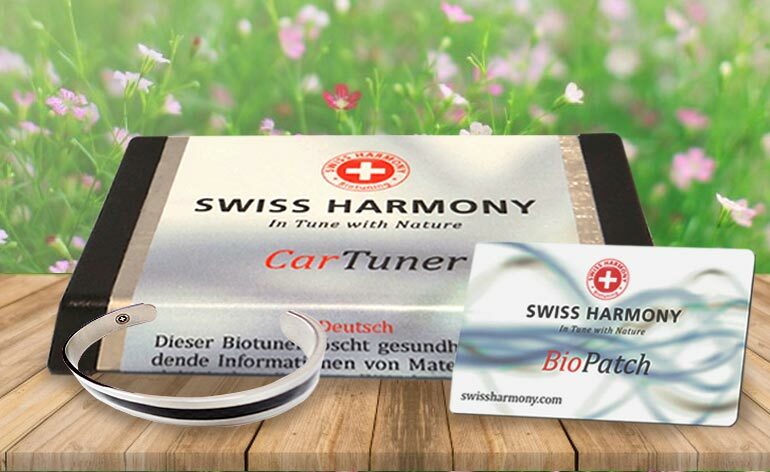 The Swiss Harmony CarTuner, is priced between £155-290 (depending on whether it’s for a car, minibus or truck for example), the BioBracelet 2.0 at £115, and the BioPatch at £95. That said, these items have the ability to combat electromagnetic radiation which could potentially harm your health, they should be considered an investment for technology users worldwide. I do like this concept and the scientific principles applied to each item; a lot of thought and research has gone into each one and cleverly resemble everyday accessories which will carry ready appeal to many people. I appreciate the simplicity of application for non-tech savvy people such as myself and I’m amazed how such, petite, small footprint items can influence our cells positively and protect us from harmful radiation to ensure that you remain full of energy and vitality. If there’s a long-term way of tracking the products’ efficacy on my health, I would have no hesitation in investing in any of the Swiss Harmony products. Please visit Swiss Harmony today for more information and videos about these unique products as well as other items such as PhoneCards, a variety of rings (including a NEW wedding ring) and even a BioPendant if you prefer jewellery! Tried anti-radiation or electrosmog-type products before, let us know your views below or @KeepfitKingdom ! You can also read our other reviews.